Often referred to as ‘Mama Africa’ and ‘The Empress of African Song’, Miriam Makeba was a musical goddess in her own right. 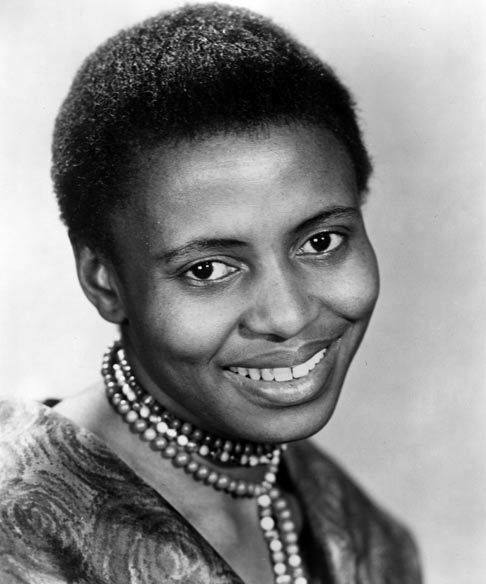 She was known for introducing Xhosa and Zulu songs to Western audiences as well as using her fame to condemn the South African apartheid regime under which wrongful imprisonment and death as a result of police brutality were regular goings-on. -Miriam Makeba was born during an economic depression and spent her first few months on Earth in a South African prison alongside her mother who was imprisoned for illegally brewing beer to make ends meet. -After testifying about the South African apartheid regime at the United Nations, she had her South African passport and citizenship revoked and her songs were banned in her home country. -Her famous song ‘Pata Pata’ made her the first black woman to have a top ten worldwide hit song ever in 1967. -After her exile from South Africa, Guinea, Belgium and Ghana gave her international passports and she became an honorary citizen of ten countries. -Miriam Makeba married, and later divorced, Stokely Carmichael: a Trinidadian-American civil rights activist and leader of the ‘Black Power’ movement. https://www.youtube.com/watch?v=Zq5S5sH1Ikk – One of her most famous songs ‘Pata Pata’. https://www.youtube.com/watch?v=2Mwh9z58iAU – Miriam Makeba performing ‘The Click Song’. https://www.youtube.com/watch?v=uWP5mBJ4HWs – Plea to the world to intervene in the South African apartheid regime.